As the resident gastronome on Team OMD, I’m always talking about food. Whether I’m obsessing over the perfect temperature to roast a butternut squash or searching for muscadines at my local farmer’s market here in North Carolina, delicious plant-based food is always on my mind. 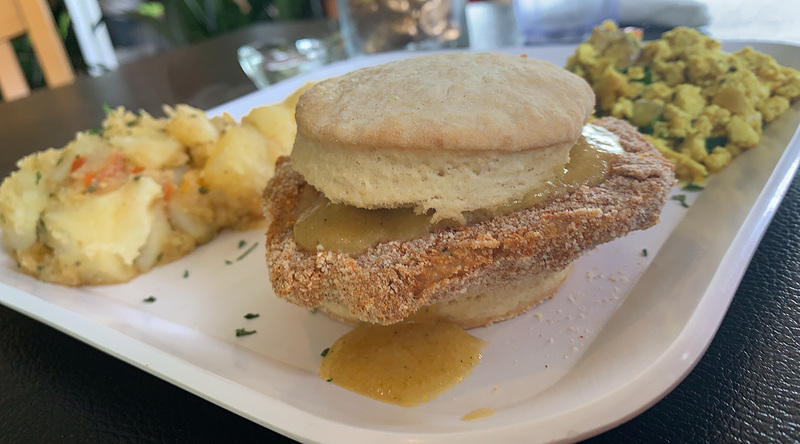 Souly Vegan Cafe home fries, Large Chicken Biscuit (with gravy) and tofu scramble. When I transitioned to a plant-based diet a year ago, I was worried that I wouldn’t be able to do one of my favorite foodie things — going out and eating at a restaurant. The South is known for its great food, but being plant-based in the meat-centric South? That sounded like being relegated to sad veggie sandwiches and hummus plates forever. Luckily, I was wrong! Plant-based innovation is worthy of a celebration, so we teamed up with Bull City Vegan to create Dine Out for the Planet weekend, April 12-14, to celebrate Earth Month! We encouraged folks across North Carolina to dig in and veg out with the help of our new North Carolina Plant-Based Eaters Guide to help people find local grub! 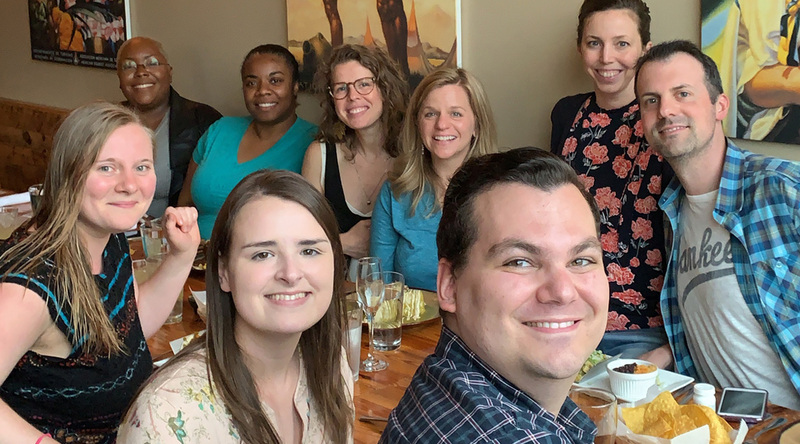 More local restaurants are creating plant-based confections, but change only happens when businesses hear from patrons like you, or from advocacy groups like the amazing folks at Durham’s Bull City Vegan! Are you in North Carolina and want to urge your local restaurant to feature more plant-based options? We want to hear from you! Send our NC Field Organizer Zakiyaa an email at zakiyaa@omdfortheplanet.com and download our Restaurant Toolkit.